Find out which data storage devices our latest group of survey respondents is using to cope with the ever-growing volume of active data in their organizations. 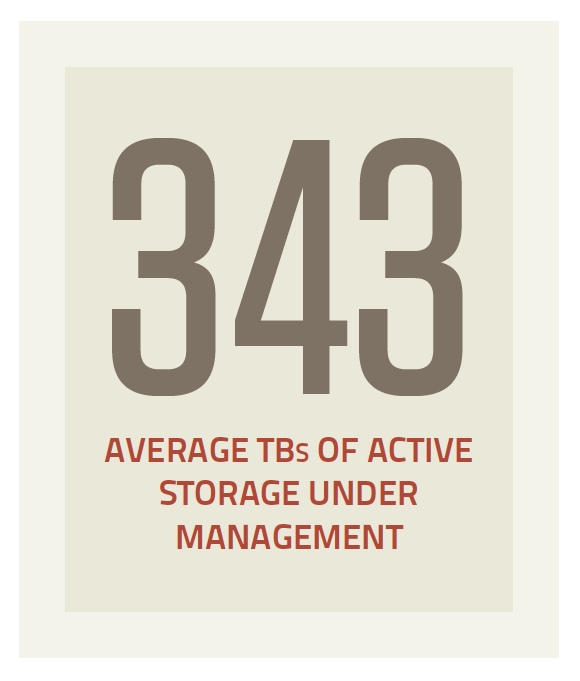 With an average of 343 TB of active data, our survey respondents need a variety of data storage devices to cope with that volume. Sixty-nine percent park some data on NAS systems, while 65% use Fibre Channel (FC) SAN; iSCSI and unified systems round out the top four. 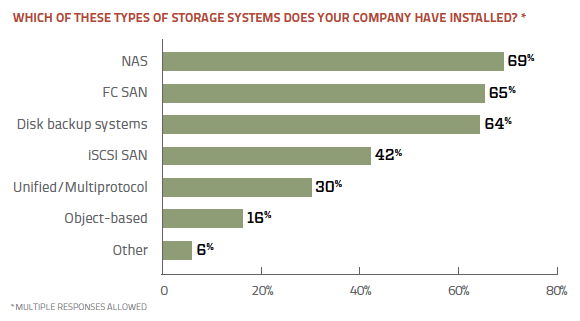 FC SAN does most of the heavy lifting, with 38% of respondents' data residing on those storage devices. On average, respondents have 10 FC arrays and 9 NAS installed, as well as 6 iSCSI systems. That's a lot of hardware, but only 20% are tapping cloud storage for relief, stashing an average of 24 TB in the ether. While storage pros might be resigned to managing massive amounts of data, they're still looking for ways to pep things up, and 46% are doing it with solid-state storage. The vast majority (87%) of solid-state deployments are in hybrid arrays. Software-defined storage is in the news a lot these days: 27% have deployed it and they were DIY projects for 61%.